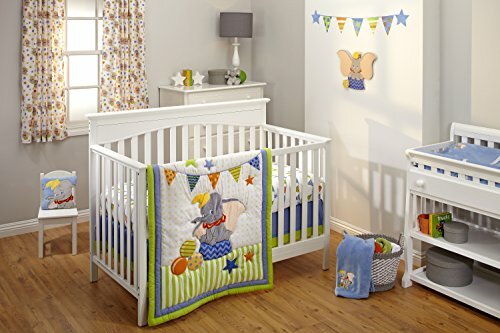 Dumbo is the star of the circus in the Disney baby Dumbo 3 piece crib bedding set. Includes an appliqued comforter, fitted crib sheet, and dust ruffle. Made from soft 100% polyester microfiber for an extra soft feel. Comforter measures 42 x 33". Sheet fits a standard size 28 x 52" crib mattress. 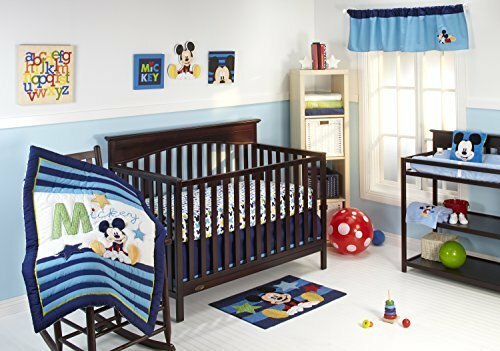 The Disney My Friend Mickey 4pc Deluxe Crib set has many extra details to make this set truly deluxe. 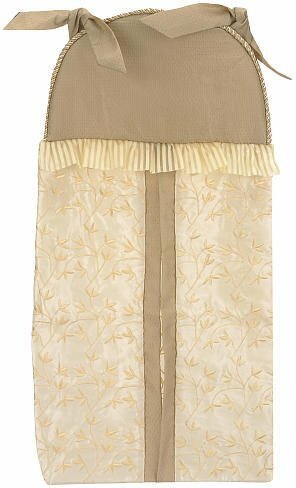 The 4pc set includes an appliqued comforter, fitted sheet, dust ruffle and appliqued window valance. The comforter features a large appliqued Mickey on the front, with embroidered and appliqued "Mickey" wording. The comforter reverses to an iconic Mickey Mouse head and ears allover print. The extra-long dust ruffle has a 12" drop. 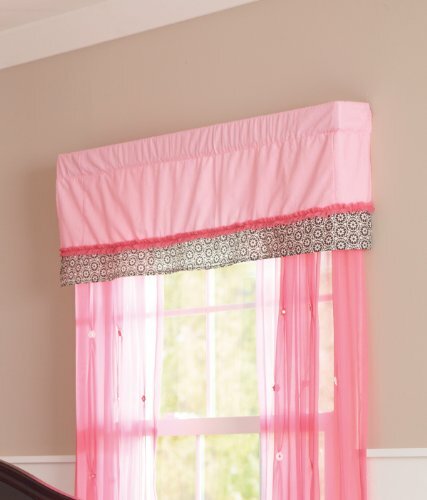 The lined window valance features a rod pocket top, and a playful Mickey applique in one corner. The sheet fits a standard size 28 x 52" crib mattress. Made from soft, 55% cotton 45% polyester fabrics. 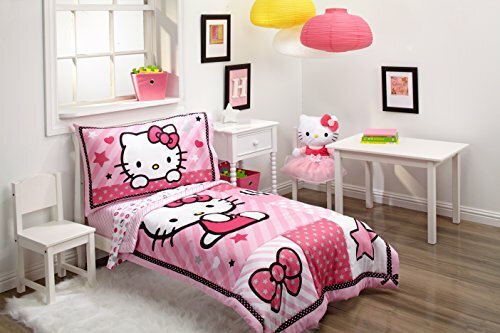 Hello kitty 4-piece toddler bed set - this toddler set includes: quilted bedspread, fitted bottom sheet, flat top sheet and standard size pillowcase. Add some sweetness to your toddler's space with this happy hello kitty set. Featuring a double-sided comforter with hello kitty and her traditional hearts, stars, and bows against an array of pretty patterns on one side and matching mini print on the other; a coordinating bottom sheet; and flat top sheet compliment this design; and a double-sided pillow case with kitty amidst a background of stripes, stars, and hearts on one side and a mini-version of the comforter front on the other; all in perfect shades of pale pink, bright pink and fuchsia with pops of black, white, and silver. 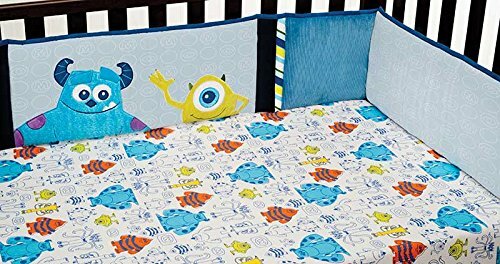 Fits a standard size toddler/crib mattress 28" x 52". Fabric is made of 100% polyester microfiber. KL30001FS Features: -Fleur collection. Product Type: -Sheets. Color: -Pink. Material: -Cotton blend. Dimensions: Overall Product Weight: -0.75 lbs. Overall Height - Top to Bottom: -5". The Monsters Inc. 4-piece bumper is 10 inches high x 157 inches long. The short sides are 10 inches x 26.5 inches with ties in each corner. The long sides are 10 inches x 52 inches with 4 ties along the top and bottom. The bumper is made of 100% polyester, 100% cotton, 65% polyester-35% cotton and polyester-nylon fabrics. Filling is 100% polyester fiber. 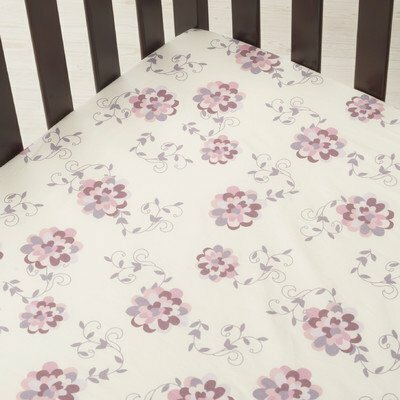 The perfect touch to your Juliette nursery is this adorable valance. It coordinates with the Juliette bedding collection. The valance will add an extra sweetness to your nursery. 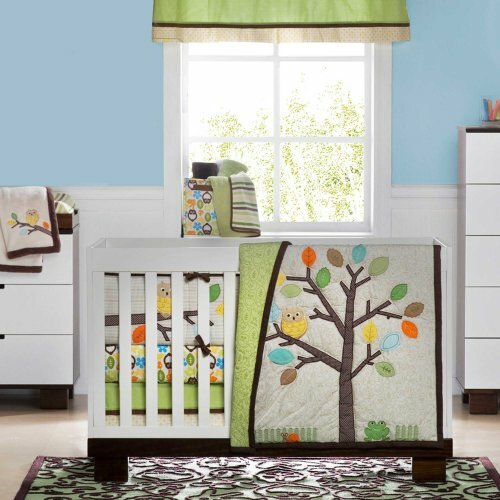 The Arbor Friends 4 Piece Baby Crib Bedding Set includes a quilt, dust ruffle, fitted sheet and window valance. The quilt measures 36 inches x 45 inches. The dust ruffle has a 14 inch drop and the fitted sheet is made to fit a standard size 28 inch x 52 inch crib mattress. The window valance is 60 inches x 14 inches, and hangs from 8 grommets along the top. Each grommet has a 1.5 inch opening. The set is made of 100% polyester, 100% cotton, and 65% polyester-35% cotton fabrics. The sheet is 100% cotton. Filling is 100% polyester fiber. 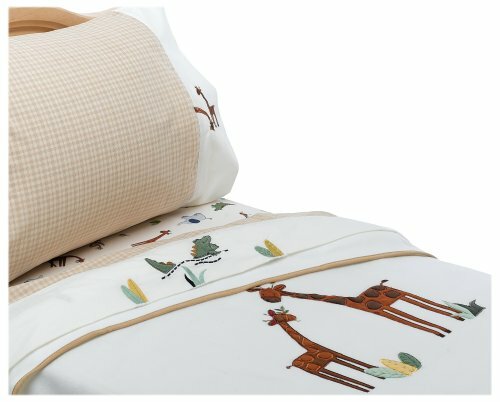 Looking for more Kidsline Top Sheet similar ideas? Try to explore these searches: Miss Me Flap Pocket Stretch Jean, Williamsburg Foods, and Recurve Bow Kit.